In this bit o' whimsy, a gallant buck assists his fair lady down from the style during what one can only assume to be a very pleasant afternoon ramble in the countryside. 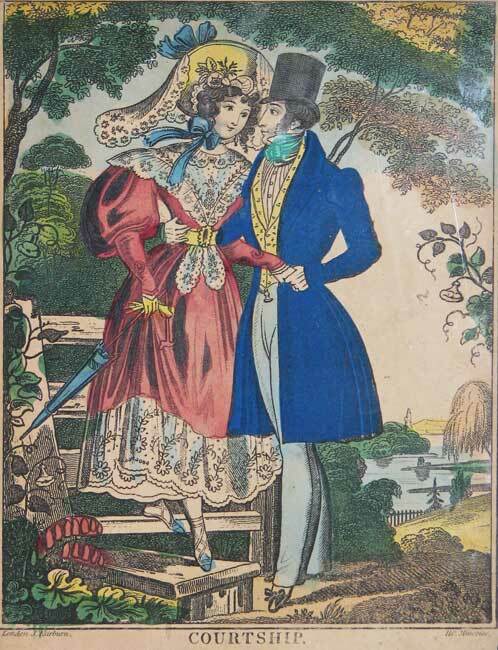 The girl displays an element of coquetry in the flashing of her ankle and the suitor appears to have wrapped his arm quite firmly and possessively around her waist. A church tower in the distance possibly indicates a future strengthening of the union.